Corvidae is delighted to be working with Info-Point to offer digital interpretation to smartphones and other mobile devices – wherever it’s needed! Info-Point is a self-contained wi-fi hotspot and web server, which delivers content direct to browsers in phones and tablets with no need for an Internet connection. The units use about the same amount of power as an energy-saving light bulb, and can even be solar powered, so they really can be used almost anywhere. Info-Point allows us to use all our digital interpretation expertise to deliver fantastic, accessible content to visitor’s own phones, cutting out the need for you to buy and maintain expensive, theft-prone handsets. Contact us to find out more! 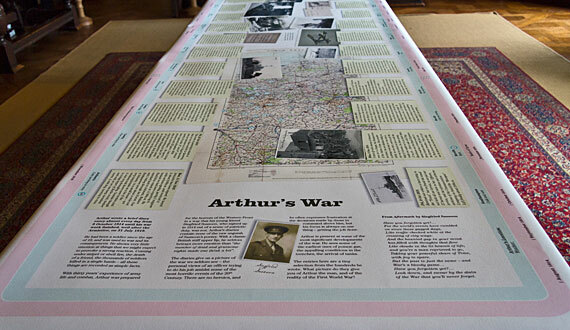 With its remarkable array of facsimile documents that visitors can handle and explore, the exhibition we developed with the team at Scotney Castle in Kent has won praise from many quarters. It has nearly quadrupled the average visitor dwell time in the house, and won an internal National Trust visitor experience award. Our focus on accessible, engaging interpretation has also drawn praise from a visually-impaired visitor. 21 of our virtual tours are now available on the web for everyone to enjoy. Whether you're planning a visit, scouting for a filming location or simply fancy a virtual wander round some stunning architecture and countryside, the tours can take you everywhere from Cumbria to the south-west tip of Wales. Unlike many others, our tours are fully functional on iPhones and iPads, and even have a separate design and layout to make them easier to use on the iPhone's small screen. The National Trust needed to test a new heating system in preparation for a major conservation project at Knole. That meant insulating one of the show rooms with plastic stretched over wooden stud walls – not the ideal look for a grand Jacobean house. So they asked us how they could minimise the negative effects on the visitor experience. We thought for a bit, then – simply put the room back on top of the plastic! 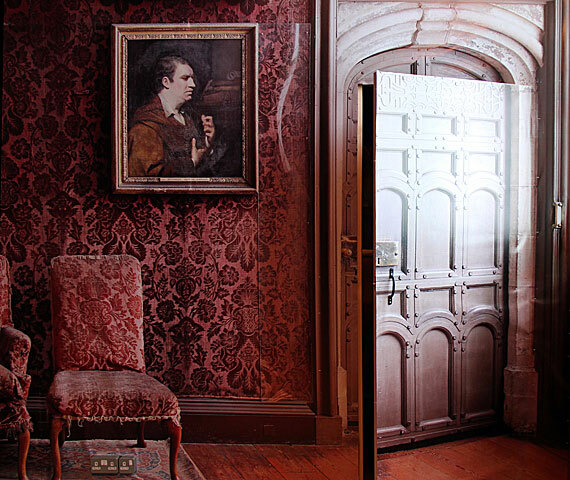 Knole’s new exhibition and reception facilities, designed and delivered by Corvidae, have transformed the visitor experience for thousands of visitors to this marvellously atmospheric house. Take a virtual tour of the new spaces, or watch the stunning introductory film. The National Trust's virtual tour project, designed, developed and produced by Corvidae, has won the prestigious 2008 Jodi Award for Excellence in Accessible Digital Media. The judges' notes praised the tours highly, saying that "the standardised layout of the interactive Virtual Tours enable a consistent and reliable experience for disabled people". They also praised Corvidae's team, who represented the Trust's Access for All office during the assessment of the tours, saying they were "outstanding in the way they worked with (and received constructive criticism from) our on-site accessibility testers, and have exhibited a genuine institutional and informed commitment to this project and the values at its core." The assessors described the result as a	“visually gorgeous experience” that “surpasses anything else we have experienced of a similar nature”, concluding that "we really cannot imagine anything which could come so close to representing the physical journey". You can now view a special on-line version of the tour of Dunham Massey on this site. The awards are presented in memory of Jodi Mattes (1973-2001), who worked at the British Museum and put immense efforts into ensuring that web content was accessible to all users. Originally awarded specifically for on-line projects, since 2007 the awards have also recognised excellence in accessible digital media installed on site at museums and heritage sites.